Care to make your life much more comfortable and easier? Want to close your doors just in one touch on the screen? Aziot is all about this! We made a whole Apartment in the phone! To transfer home ecosystem completely into digital environment. Bored to be conservative! Using a common switch to turn on the light isn’t an attribute of digital era anymore! To let a lodger have all critical information about his home in his focus. Hitherto, 70 % of crucial data hasn’t usually become a subject of his control. From now on, all meter displays, temperature levels and gadget statuses are in his smartphone. Managing home activities just via an App requires previous digital integration of all home infrastructures. How to bring together various equipment and gadgets in the apartment with the developed application in order to allow the whole system to work correctly? 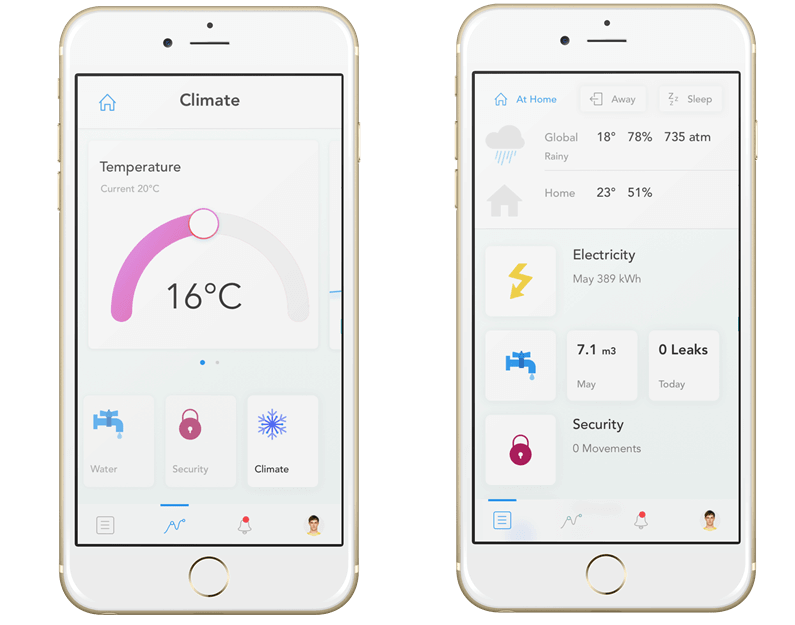 The Softengi team has developed a Connected Digital Home – platform, taking under control all elements of living environment: utilities, climate, ecology, safety, noise, comfort. 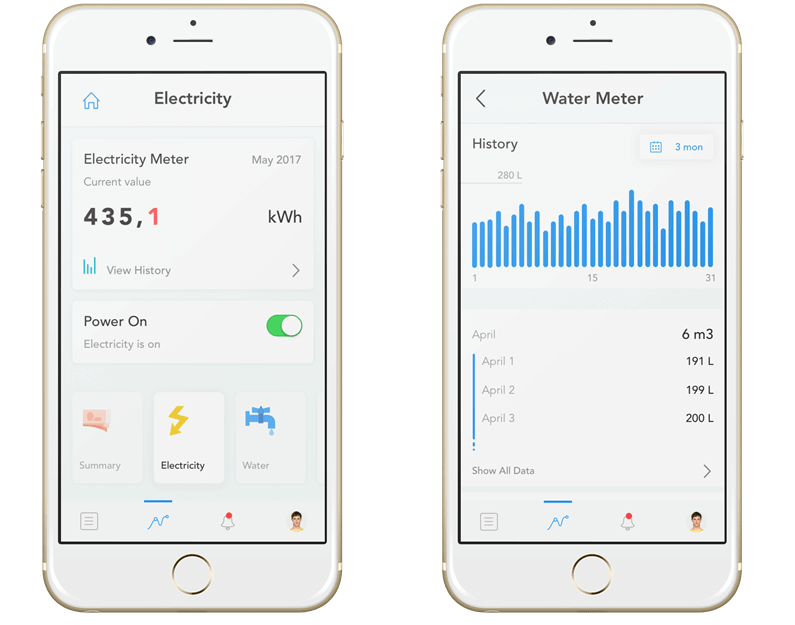 Open an Aziot Home App on your smartphone, choose necessary option (pay water bills, switch on the air conditioner, calculate electricity costs…) and observe its execution. Don’t be afraid to forget or omit something – Aziot is “smart” enough to resolve critical situations. Due to using artificial intelligence in its development, Aziot can take necessary steps on its own – shut the water off in case of leaking, switch the power off, if you forgot to unplug the iron. Our biggest source of pride is an ability of Aziot application to integrate with home equipment of various providers. You don’t have to buy a specific connector to activate the whole system. Due to Aziot Home development, our team succeeded in providing value not only for the occupant, but also for a property developer, a landlord and also a management company. Necessary “WOW-effect” for sales purposes; increased total value of the apartments; additional monetization source. If you want to receive a consultation with our specialists concerning Connected Digital Platform Development, please complete this form.